The beauty of any sport is in its simplicity. The sight of a boot striking a ball gives football both its aesthetic appeal and its name, its very identity. Ask a group of cricket fans what the game means to them, and “the sound of leather on willow” will surely be among your answers. The duty of any sporting administrators, therefore, should be to preserve the simplicity of their game as far as possible. It is a peculiar trope of post-match press conferences that a player who has suddenly hit phenomenal form attributes his success to “keeping things simple”. Overcomplicating things leads to overthinking things, and that is detrimental to all that makes our sport wonderful to watch. With this truism in mind, the decision by the ECB to abandon-but-not-completely-abandon the toss for all County Championship matches from 2016 seems like a bizarre move. It seems to have little or no broad-based support among players: Yorkshire skipper Andrew Gale called the decision “absolute madness” and tweeted a stream of his feelings on the subject, laden with exclamation and question marks. From 2016, the visiting captain will be given the opportunity to bowl first; if he decides not to, the toss will take place as normal. The purported logic behind this trial is to encourage county groundsmen to produce spinning wickets: counties will be less inclined to produce much-maligned green seamers if they face the certainty of batting first on them. So far, so good. England’s batsmen do need to get better at playing spin (see England’s recent Test series in the UAE for further details), and county spinners need to bowl more overs so they can compete with the likes of Ravi Ashwin and Yasir Shah on the world stage. Given the rather grandiose nature of the claims made by the ECB in defence of their decision, the fact that this will only be a one-season trial is bemusing. Ollie Rayner, promising bowler though he may be, is not going to become an international-quality spinner over the course of a season. We would be looking (ironically perhaps) for green shoots of improvement, not great strides forward. Against what criteria will the success of this venture be judged? What will need to happen for this no-toss-unless-the-visiting-captain-wants-it to become a permanent feature of the county game? The basis for changing a centuries-old tradition of county cricket is therefore rather shaky: this is not a firm and confident step forward into English cricket’s glorious future; it is a tentative wait-and-see prod outside off stump. And we all know how those usually end up. Another distasteful aspect of the change is that it adds another meaningless layer of tactical complexity to what should be a simple sport. 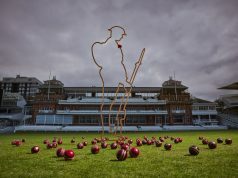 Whether the groundsmen have prepared the same wickets as 2015; whether the visiting captain will respond to that tactically; whether the home captain will be influenced by his opposite number’s decision to allow the toss; these may be fascinating psychological permutations to some, but for the average fan they detract and distract from what is really important – the game itself. Of course the preparation of wickets will always be tactical as long as the counties pay the groundsmen, but there is no need to add another stage to the toss unless you’re sure it will help (which the ECB clearly aren’t). It’s like adding another layer of tasteless paper onto an onion. The idea that spinning pitches will be incentivised by the move is in itself deeply flawed. Counties prepare wickets to suit the strengths of their best players: if Durham had Swann and Muralitharan on their books instead of Rushworth and Onions, Chester-le-Street might become as notorious for spin as it has been for swing. Similarly, if a county doesn’t have a spinner to exploit turn, they just won’t bother with it anyway. The caprice of the toss has always been a risk for counties that habitually play on green wickets, and they will probably just remain so. Yet another issue that may hinder the ECB in their mission to restock the English spin cupboard is the effect more turning wickets might have on the recruitment of overseas players. In recent years, star spinners like Jeetan Patel and Saeed Ajmal have run through county line-ups simply because they are terrific bowlers who have spent years honing their skills on helpful wickets against spin-canny batsmen. The need for England to develop spinners is a long-term problem, and all we are being offered is a short-term “fix”. It would be no surprise if counties responded by making short-termist responses. The ECB could centrally contract the county groundsmen. No longer on the payroll of their clubs, the groundsmen would have to prepare the kind of wickets the ECB want them to. This would not affect the experience of fans or add a layer of unnecessary tactical complexity to the captains’ thinking on matchday. Whether the ECB would have support for this measure from the county chairmen (who, after all, have their own counties’ success and finances to look after) is unclear, but it remains a surer and more lasting solution to the problem of non-spinning wickets than the bizarre tactical tomfoolery of the two-stage toss. Cricket is a simple game, and beautiful in that simplicity. The toss might seem unfair when your team loses it often – in reality, its randomness makes it the fairest way of deciding who should bat first. Although tradition may not be a sufficient reason to keep the toss if it were a barrier to progress, there is no certainty that abandoning it will make any difference at all. Change for the sake of change is frustrating at best; at worst it is positively damaging to the causes it purports to support. Another year of banging on one of your neighbour’s tiles and hoping that will somehow fix your roof is what seems to be in store for 2016: meanwhile, the ceiling will continue to leak and the chance to implement real solutions missed for another season.